Built in the mid-1980’s, Amber Park comprises of 200 units housed in two 27-storey apartment blocks. More than 80 per cent of the owners has consented to the collective sale at a minimum price of $768 million. Under the 2014 Master Plan, the 213,670 sqft site is zoned ‘Residential’ with a gross plot ratio of 2.8. 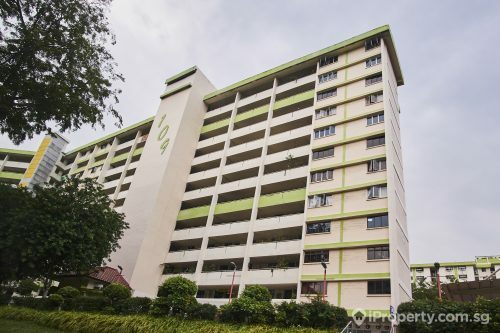 It may be redeveloped to accommodate a high-rise apartment development of around 24 to 26 storeys, depending on the technical height controls imposed by the relevant authorities. He adds: “This Amber Park site could possibly be one of the last collective sale sites with a land area above 200,000 sqft in this precinct. As far as we know, the last site with a land area above 200,000 sqft that was transacted in this location was that of the ex-HUDC Amberville in 2006, which has now been redeveloped into Silversea. Furthermore, Amber Park, with its large land area and freehold tenure, stands out amidst the many ex-HUDC or leasehold collective sale sites that are presently being marketed”. “We expect strong interest for this site. The owners’ reserve price of $768 million reflects a land rate of approx. $1,284 psf per plot ratio, based on the allowable gross plot ratio of 2.8. Development charges are not payable for the proposed redevelopment,” continues Mr. Tan. He further continues: “Amber Park has a high development baseline equivalent to a plot ratio of approximately 2.843. It is, therefore, insulated from the half-yearly development charge rate revisions by the Chief Valuer, with the next hike expected on 1 September 2017”. He further continues: “Amber Park has a high development baseline equivalent to a plot ratio of approximately 2.843. It is, therefore, insulated from the half-yearly development charge rate revisions by the Chief Valuer, with the next hike expected on 1 September 2017”. Amber Park’s site enjoys dual frontages from Amber Gardens and Amber Road, with the main access currently taken from Amber Gardens. Established shopping amenities, popular eateries, and hip cafes are readily accessible with Parkway Parade, Marine Parade Central, and i12 Katong, all located within walking distance to Amber Park. neighbourhood are looking forward to the new Thomson-East Coast Line that is presently under construction and is expected to be ready in phases from 2023. The future Tanjong Katong MRT station is located less than 200 meters away from the Amber Park site. 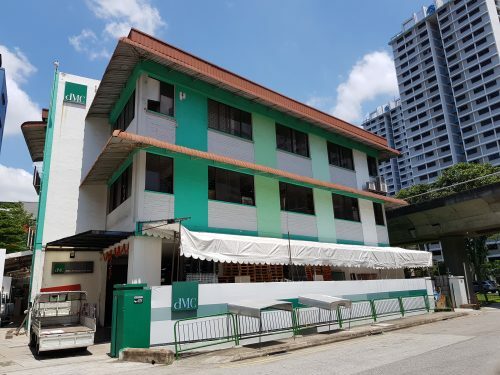 “Subject to design and approval from the Urban Redevelopment Authority (URA), a developer may potentially configure the allowable gross floor area (GFA) of 598,300 sq ft into close to 800 apartments with an average size of 70 sqm. The site’s 80-meter road frontage onto Amber Road may offer developers some degree of flexibility in designing the new apartments, such that the number of sea-facing units are maximized. 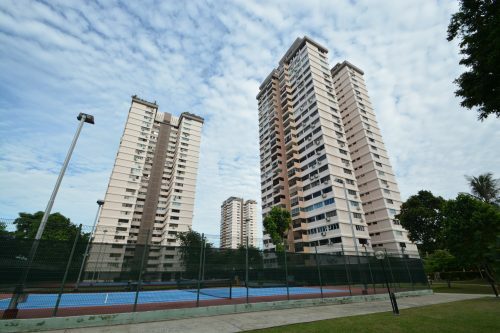 The new high-rise towers could also be positioned to overlook the Chinese Swimming Club’s low-rise facilities that occupies the site next door and diagonally across the road,” says Mr Tan.